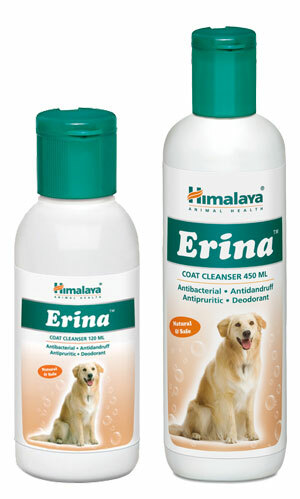 Prevents the formation of dandruff on your pet’s skin and hair coat. Antiseptic and antibacterial cleansing eliminates germs and improves overall skin hygiene. Protects the body against commonly found pathogens that cause itching and bacterial infections. Deodorizing properties eliminate foul odor. Wet the pet’s body thoroughly with water. Apply a sufficient quantity of Erina, work up a rich lather and massage well into the coat. Rinse well after five to ten minutes and repeat application if required. Towel dry and brush thoroughly.